Preserve unused finishing materials! Just spray in the can and seal. 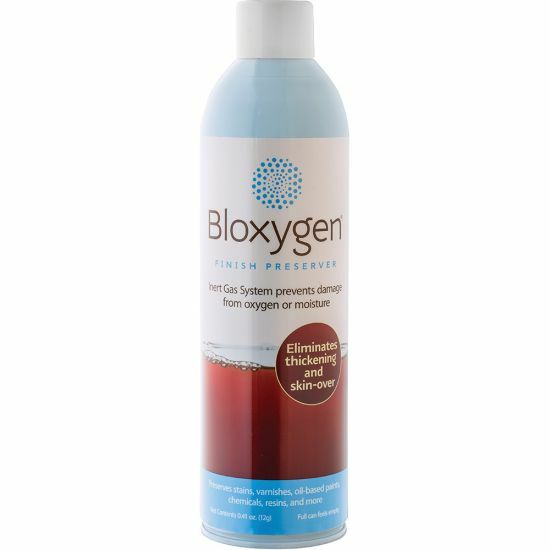 Bloxygen uses an inert gas to drive the oxygen out of your container. Simply blow the oxygen out of your container with Bloxygen and then seal the lid. The heavy, inert Bloxygen gas sinks down to block oxygen from the liquid surface. Because Bloxygen is heavier than air, it will separate the liquid surface from any air that may remain in the container, preventing a dry skin from forming over the liquid. I started using this it works good for me. Many of my projects are toys. This allows for the finish to be used for small items and not finding a skin on the remailing finish in the can when reopened . In the past I would often need to trash a can that was still with some finish left. My brother loves this stuff and talked me into trying it. Works great ! No more dried up expensive finish’s . I use it to save and prolong the shelf life of Epifanes Varnish once I’ve opened a can. 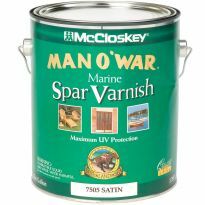 Marine Varnish isn’t cheap, so every little bit helps. I have a wall full of paint, stain, and finishes in quart and gallon cans that will now have a long life. This stuff even works on spar var which will skim over in an open can in just a few minutes. I've been using an expensive industrial clear coating and Bloxygen has really helped me get the most out of the can. I have used Bloxygen for years. It works especially well for Tung Oil which I use often. This product really works! Works on urethane hardeners for automative paint too. 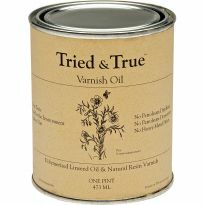 I used to have my Varnish "cap over" in just 12 hours in a sealed up can. This problem is gone now thanks to Bloxygen!!! I've not had any problems with paints, varnish, etc. getting a hard scum on them since I started using this product. Works as advertised. I started using it because a friend recommended it and now I'm recommending it to others. Bloxygen is wonderful stuff if you use oil base stain and topcoat like I do. Just squirt a blt of Bloxygen in the can and my stain lasts usually until I use it all. But I've only used only quart cans and smaller. I recommend this product. Bloxygen works great for me. 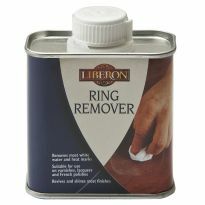 Been using the product for several years to prevent a skin from forming in paint and varnish cans. It really works! I bought this to use with my varnishes, but I found that it works beautifully with my cans of wood fillers. My collection of wood fillers used to dry out after I first opened the cans, no matter how quickly I sealed them afterwards. However, now they stay soft after a shot of Bloxygen when I close the lids. I have used Bloxygen for years. It works very well for me. Just remember it doesn't work on water based materials. And also remember that you don't know when it's out except that you can't hear the hiss sound until it's too late! It feels empty when it's not. So don't throw it away just because it feels empty. Great product to avoid wasting finishes. Been using it for years . My Wife and I do a lot of craft items. If I am going to be using a paint or stain brush the next day I put it in a self sealing plastic bag shoot in a little Bloxygen and it keeps the brush good till the next day. This saves a lot of clean up time. Bloxygen seems to work as well as canned air, only much more expensive. Both seem to keep the gel off the top of my paints and stains. To be fair, I have only been using the Bloxygen for a few months so I have no knowledge of long term effects of the Blox compared to the air. 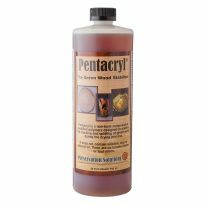 This product works if the container being used to store varnish/tung oil/etc. is completely sealed and non-permeable to oxygen. Many plastic containers allow oxygen to pass through them and will not protect varnish. I use it to protect Epifanes varnish which is a bit pricey, and small glass bottles.My only beef is the price which is 2x what it should be. I have been very pleased with the product. Especially now with cost of finish products. Would recommend it. 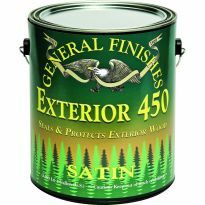 I've used this product for almost 10 years and though a luxury, it definitely helps get the most servicable life out of finish materials. Well worth the price. It definitely helps, especially in finishes using tung oil. I've trashed or scummed a lot fewer cans of finish since using this. REMEMBER - Doesn't work for latex/water-based finishes. Didn't prevent skinning of an oil/wax product in a bucket in long-term storage. Worked fine in a smaller container, for a shorter duration. it comes with two straws, now I know why. the first one blew right out of the nozzle and into the can. The second straw blew out and went somewhere behind the bench, still there. I tried it without the straw and blew finish all over the bench, I gave up and closed the can. This product was tried (following directions exactly and every other way) on spar varnish. It utterly failed to work on *any* occasion (about 7). A skim formed on the varnish in exactly the same amount of time that it would have with no squirts of expensive gases (tested with as little as 20 hours with can 3/4 full). I believe I have never spent so much for so little effect. Not recommended for spar varnish (at least). Didn't work for me on oil based paint. I get similar results or even better with propane from a hand torch.Editor's note: We can't recommend your propane method with oil based products Mark, due to safety/flammability concerns. 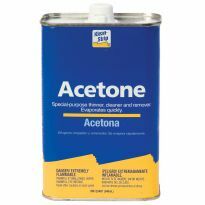 Made for and effective at preserving finishes by preventing oxygen from contacting the surface of the finish in the can. Used it for years and it is great. wanted to preserve minimally used gallon of expensive spar varnish. 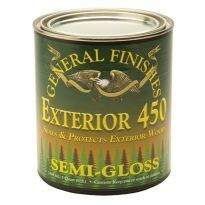 Good for saving General Finishes stains, etc., or especially oil based stains or varnishes that aren't used all that often. Keeps skin off the top and helps from drying out in the can. It does what it is supposed to do. I always use it. Need to keep my gallon Arm 'n' Seal from gelling up. Doing a lot of staining and have partial containers left. To protect the balance of Waterlox in the can. It has worked well for me in the past. To keep my polyeurathane from scabbing over. Tired of throwing away hardened polyurethane. Needed to preserve the open can of WaterLox. This works excellent. I have used this product for years. It works well and I ran out. Cans of polyurethane, once opened, tend to cure up in the can wasting all that is left. This will keep oxygen away from the surface of the poly, keeping it from curing. I have used wine sprays which do the same thing, but are more expensive. Got tired of trowing away partial cans of finish. To see if it really works. 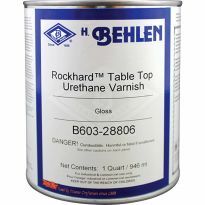 Very effective in preserving quart cans of polyurethane varnish despite frequent use of small quantities. This stuff works. It helps keep finish from skinning over. I ran out so this is a reorder. 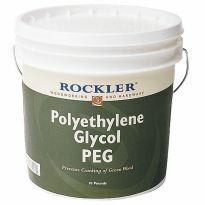 I use polyurethane finishes mostly, and this product works great. great product for saving product! Seems like it will be useful and worthwhile. Saves on expensive marine varnish. To protect the good stuff in the Waterlox can. 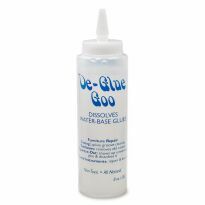 I use this to stop the waist with my oil based paints. It works when used in oil base stain and topcoat. I'm very satisfied with its performance.